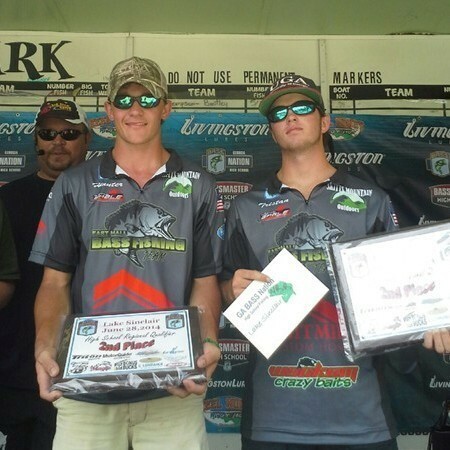 Logan Dean and Dallas Ashbaugh finished in 1st place on Lake Blackshear during a B.A.S.S. high school event. They are the first freshmen team to qualify for the B.A.S.S. 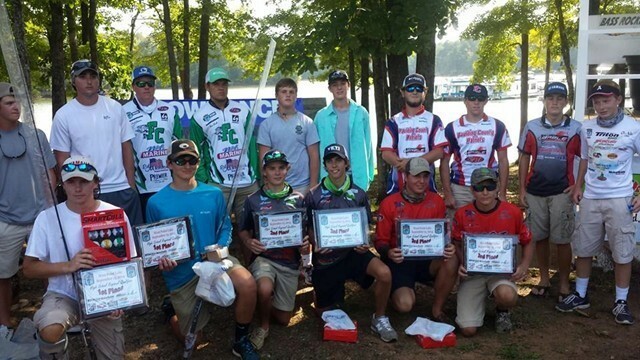 high school state championship which will be held this October on Lake Hartwell. 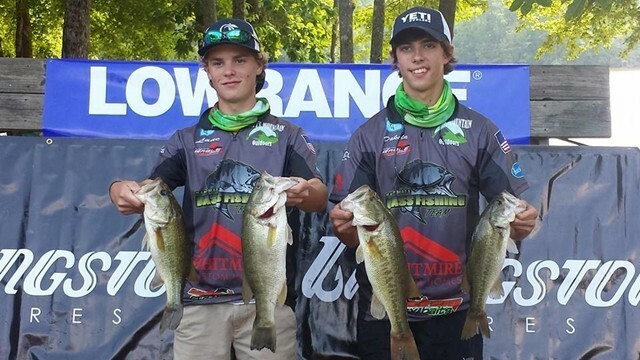 Tristan Thomas and Dakota Crumley will be competing against the top high school teams in the nation at the Bassmaster High School National Championships on Kentucky Lake on July 22nd-25th. 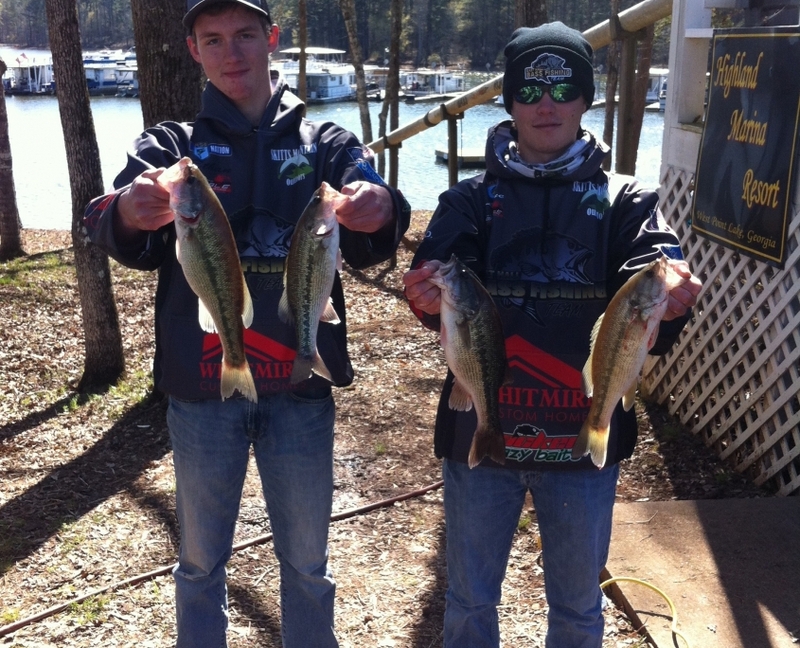 3/29/2015 On Saturday, members of the East Hall Anglers Club competed on the BASS High School tournament trail at West Point Lake. Ethan Cain and Lane Miller finished in 18th place with 5 fish that weighted 6.65lbs. 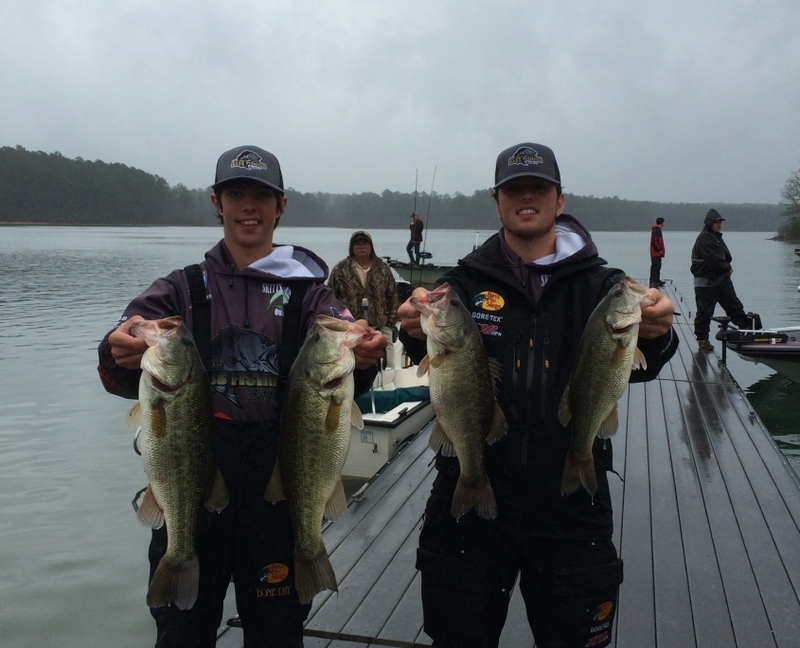 Dallas Ashbaugh and Logan Dean placed 33rd with 2 fish that weighed 2.77lbs. The boys competed against 45 teams from across the state. 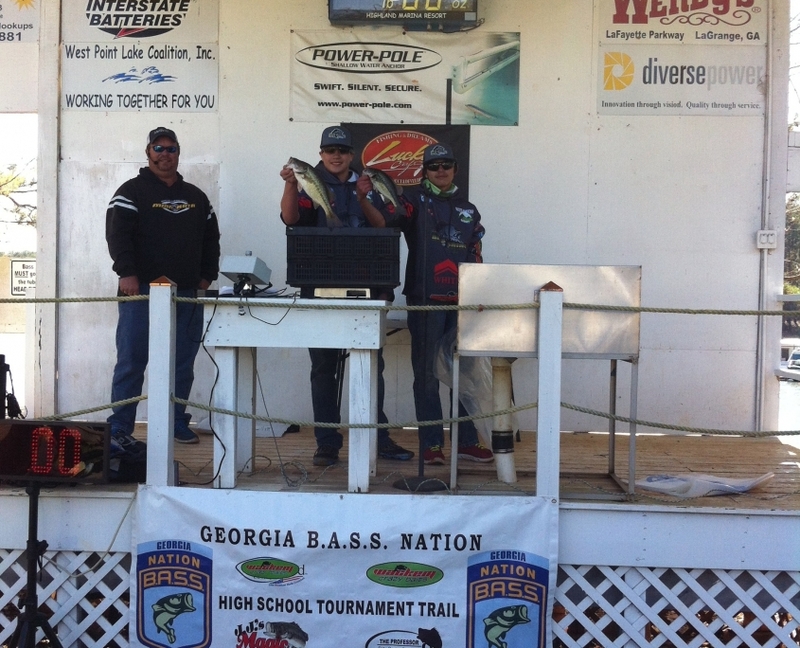 A team from Cross Pointe Christian Academy won the tournament with 5 fish that weighed an impressive 16.26lbs. 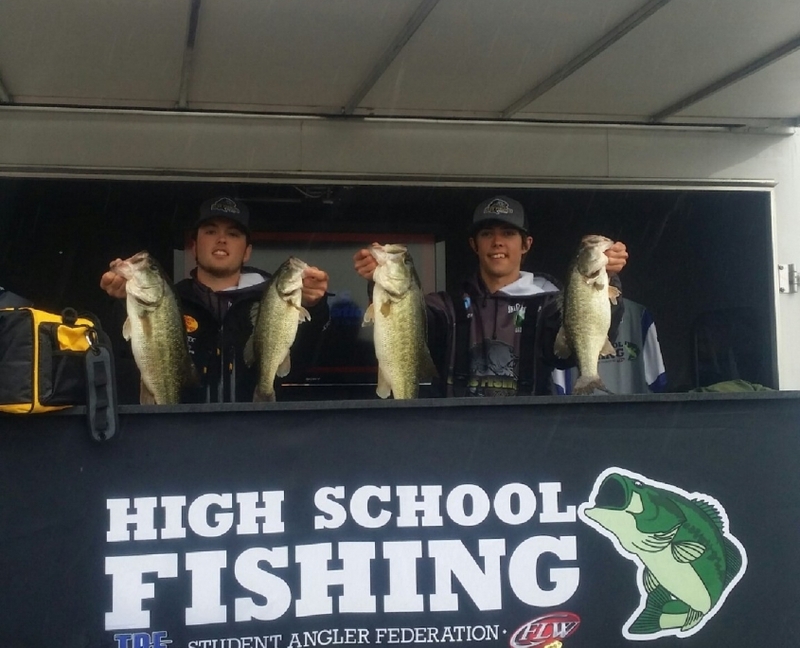 3/20/2015 Tristan Thomas and Dakota Crumley finished in 2nd place this past weekend at the SAF (Student Angler Federation) Georgia High School State Championship. The boys fished at Clarks Hill in Augusta and came in with 17lbs 3oz. The last boat to weigh in had 17lbs 5oz to take the top spot…beating out our guys by a mere 2 ounces. 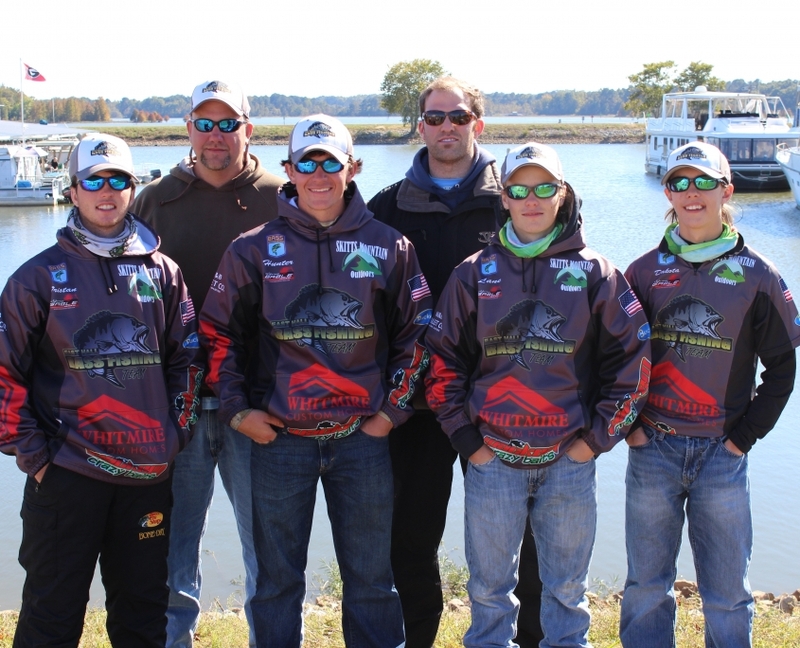 They will now be competing at the SAF Southeastern Conference Championship tournament on Lake Lanier in September. They will have to beat the best student anglers from 8 different southern states in order to qualify for the FLW High School National Championship. If Tristan and Dakota perform well in September then they will join an elite group of student anglers from across the nation that will be attending both the Bassmaster and the FLW high school national championships in one season. Please congratulate the guys for a job well done. Also, if you have any questions or concerns regarding their behavior or academic performance, please let me know. Please congratulate Dakota Crumley and Lane Miller for their 2nd place finish at the final stop of the 2014 B.A.S.S. High School Trail on West Point Lake. The boys fished hard in really tough late summer conditions (typically the hardest time of the year to locate and catch bass) and brought in a total weight of 11.65lbs. Dakota and Lane finished 6th place back in March on West Point. Next stop…the GA B.A.S.S. 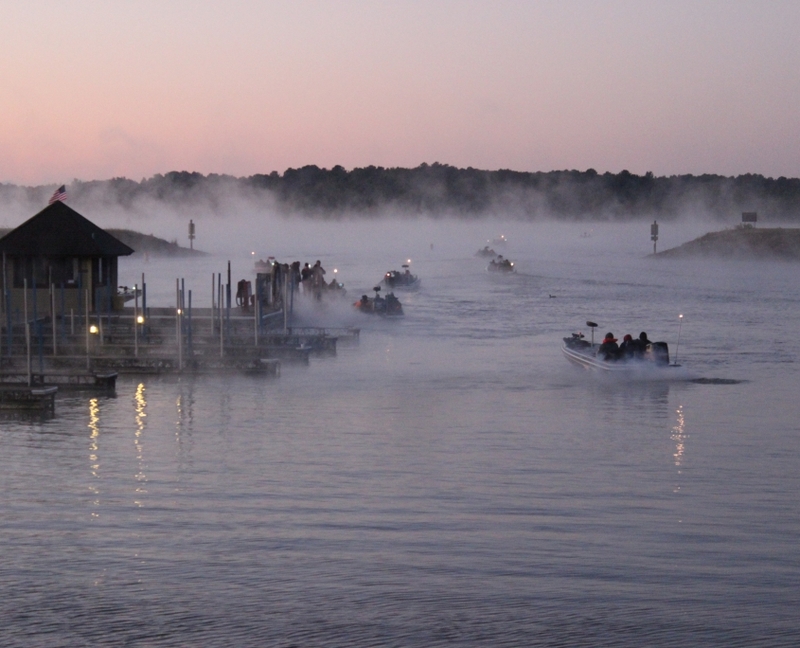 High School State Championship on November 1st on Lake Eufaula. Tristan Thomas and Hunter Buffington have also qualified for the State Championship back in July with a 2nd place finish on Lake Sinclair. It is the mission of East Hall High School to motivate and inspire all students to commit to excellence in all facets of life.